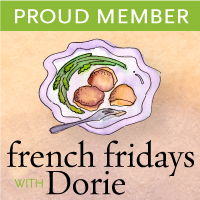 For November's French Fridays with Dorie, we have the option to make the four selected recipes in whatever order we want. With the Caramel Topped Semolina Cake and Pumpkin Flans out of the way, I opted for the Roast Chicken for Les Paresseux. Les paresseux means lazy people in French and is often an apt description for me these days. I have only had moderate success roasting chickens in the past but this recipe seemed straightforward enough. Throw a bird in a dutch oven with some herbs, garlic, and a bit of wine. Cook for a bit then add some veggies and cook for a bit longer. The chicken comes out beautiful browned on the exterior and moist and flavorful on the interior. 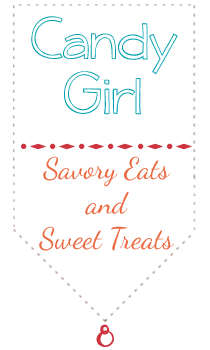 Seriously easy and seriously good! My only complaints are that the infamous bread didn't turn out for me. My baguette managed to be soggy and still stick to the pot. Not just a little, but fused to the pan. This, along with the other mess left behind in the pot, made the cleanup not for les paresseux. Quite the opposite - this was the hardest I had to work to get a pot clean in a long time. Still, I thought this was a great recipe! Thanks Dorie! I am glad to hear I am not the only one with the "fuse". It took me two days to soak the bread off the bottom. Although, I will say the soggy portion of bread that I scraped off the top was very tasty. Agreed. I got a little overzealous with the bread and placed four in the pot. Two came out clean, one fused to the bottom and one turned to mush and mixed in with the veggies. Your chicken turned out great! Your chicken looks so good! Half of my bread was mushy and half so good to eat! I made the flan but with Sweet potatoes!! I loved it! Your chicken and veges look just like they should...I left the lid on, and there was no messy cleanup and everything was very delish, however, my chicken did not get that lovely crispy roasted skin. I had planned to leave the lid on for future roastings, and with your post it seals the deal...I hate scrubbing, so I will, for sure, always leave the lid on. Sorry your baguette didn't turn out! I think I just had so much oil under it that I avoided the fusing. Your chicken looks fabulous though! Ohhh your presentation is fantastic!! I just took my pictures in the pot! i didn have that prob but ur rite, ur chicken looks fantastic! Sorry your bread didn't turn out. Glad the chicken did and beautifully too! Great lookin' chicky you have there! This sounds like one yummy chicken!!! Love the presentation as well. I was too rushed since it was a week night. This was very good though. My bread did stick, I had to pry it off and it was good but I don't know if I'd do it again. Your chicken is gorgeous! I haven't made this recipe yet, but I'm a bit skeptical of the bread. I fully expect mine to be a soggy mess too!